Since time immemorial, smoking has been a bedrock of how humans preserve food. 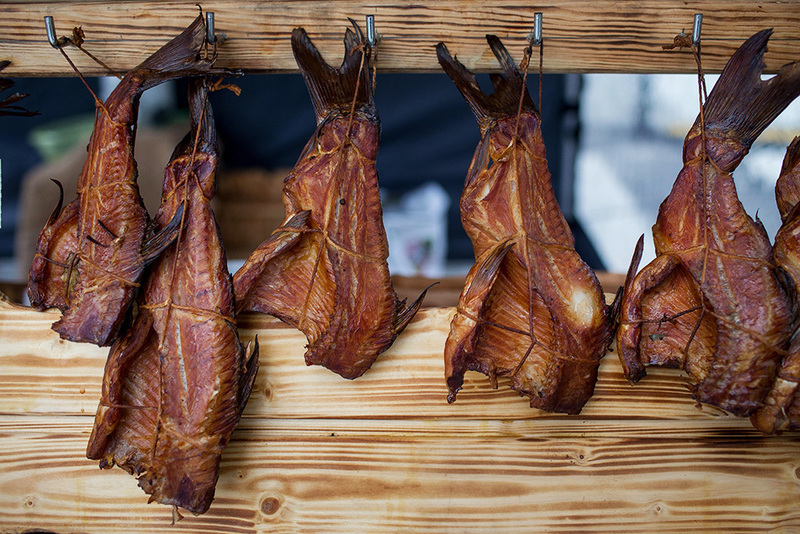 Poland has a famous and rich tradition in smoking food, mostly to prepare fish and meat known as wędzonki. 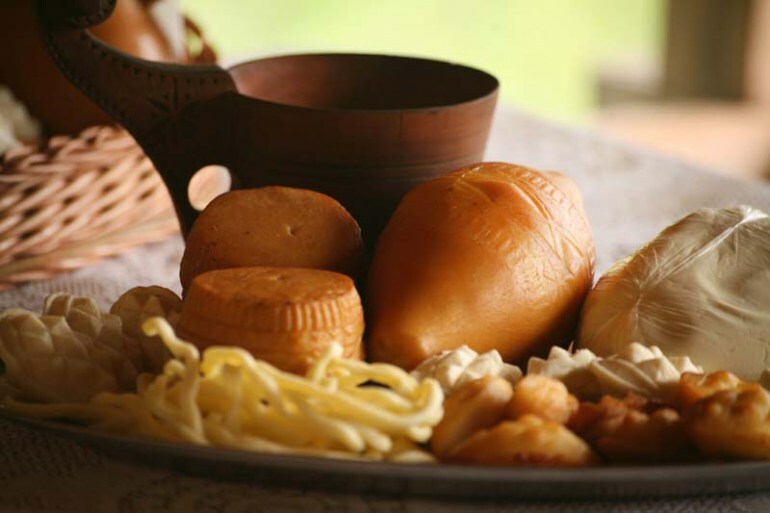 Read on to get Culture.pl's lowdown on one of the country's most characteristic culinary crafts. I, like Chiron, live in the forest. According to Professor Jarosław Dumanowski, a researcher of old Polish cuisine, in the 17th century not only capon, veal or beef was used for making sausages in magnate cuisine but also fish, such as chopped pike. This was due, among other reasons, to the taboo around eating pork. Pork sausages were considered less sophisticated than those made of fish. Nevertheless, in the oldest Polish cookbook, written by Stanisław Czarniecki from the 17th century entitled Compendium Ferculorum, smoked soldra is mentioned as an indispensable element of every banquet and a tasty addition to other dishes. Having skinned your deer or having singed your boar, hack them into chunks which you will salt and put in a barrel, pressing it all with a weight. After several days, wash your chunks in fine water, hang them in warm smoke and smoke according to your need. This was a kind of rye bran borscht, with several kinds of fish, dried mushrooms, buckwheat groats, and cumin. And how do you smoke fresh sturgeon? Scrape fresh sturgeon in strips or cut beluga in length-wise strips, no wider than a finger-and-a-half, put your fish in a dish and salt liberally, press down with a weight and after a few days rinse it in beer and hang in thick warm smoke. Being smoked, you can use it as you wish. 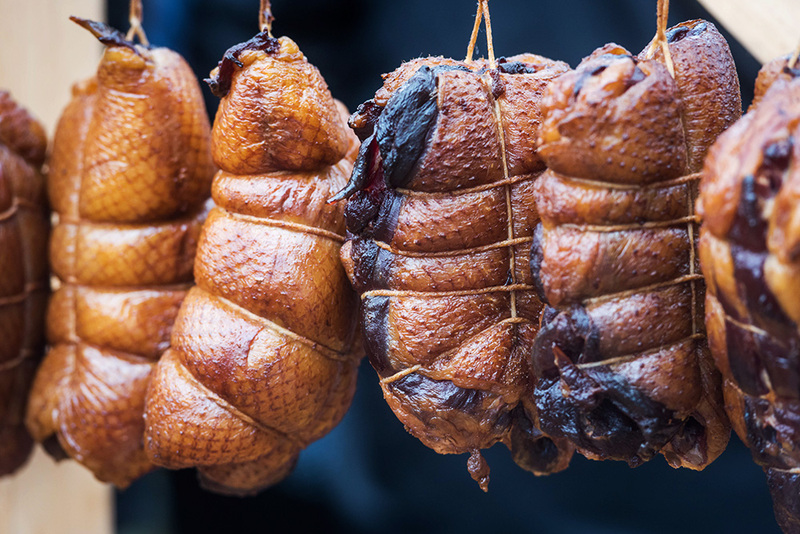 In his book The Perfect Cook, Wojciech Wielądko mentions ‘meats smoked in a chimney’: smoked gammon and sirloin, but also smoked goose breast, the so-called półgęski. Meat that was to be smoked was first placed in brine (now it is cured) and marinated for several days in a mixture of wine, spices and fragrant herbs: thyme, bay leaf, basil, marjoram and summer savoury. In other 18th- and 19th-century culinary publications, one frequently comes across smoked pork or beef tongues, which today are rarely served in this form. First, they were marinated with lots of spices and then smoked for several weeks. Smoked tongue is also mentioned in Compendium Ferculorum as an ingredient of the allaputry pâté. In Poland, even over 200 years ago, sausages were produced according to 24 different recipes. Meats were smoked for a long time – larger pieces were smoked for as long as six weeks. ‘The slower the process and the colder the smoke, the better.’ Wood used for smoking shouldn’t be tarred or soft, but hard – like oak. At times, adding juniper wood was recommended. As a result, as we learn from other 18th-century recipes, smoked ham could be stored ‘without going bad or rotten’ for as long as three years. At the beginning of the 20th century, despite the development of the food industry, people appreciated the taste of traditional home-made products: sirloin, sausages, pork, veal and beef hams, head cheeses, brawn, liver sausages, goose breast and smoked ducks. Their qualities and exquisite taste, much better than mass-made products, were praised by old-time authors, such as Elżbieta Kiewnarska in her book Homemade Meat Products: Salting, Smoking, and Marinating Meat from 1928. 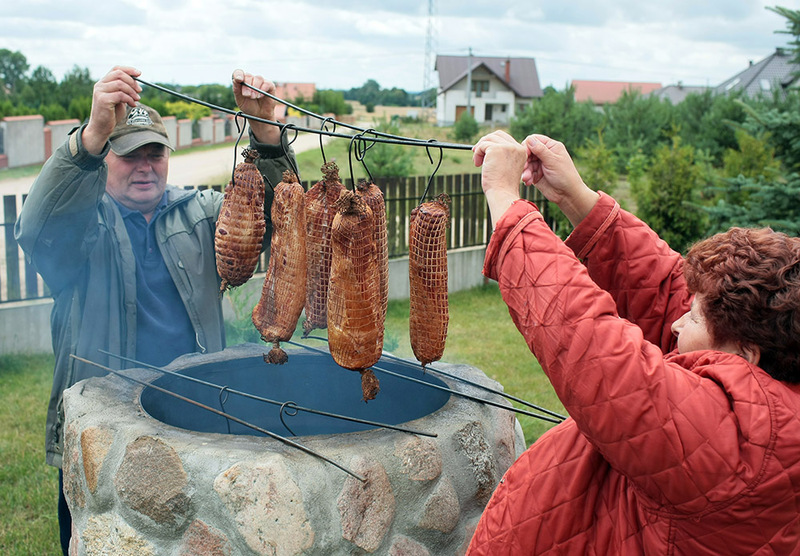 In former Congress Poland, ham is smoked for a short time and cooked (…) Sausages and sirloin are also smoked lightly and they resemble charcuterie products made in towns. 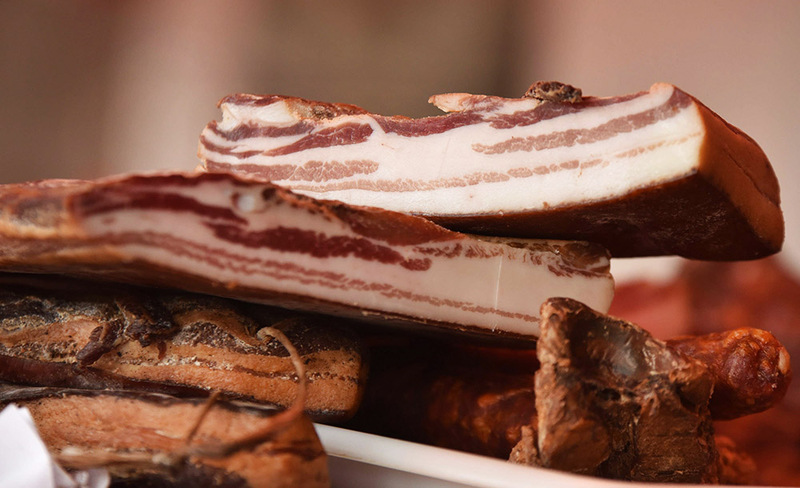 In Kresy, Volhynia and Małopolska, on the other hand, and also in Wielkopolska and Pomerania, they make smoked meats that last for a long time and may be preserved. Such meats are usually prepared in large quantities, during the winter months, when there are no flies or other vermin that may spoil the whole lot. Frequently a big ham, hanging somewhere inside a granary, would be consumed three years after it was smoked. Its rind was hard as iron – it had to be well soaked in water before cutting – but when cut, the fat was pink, as in a freshly smoked one, and the meat was translucent, of dark red, cherry-like colour, and it could be cut into paper-thin slices – its taste was unparalleled. Smoked meats from Pomerania were also highly valued – they resembled Lithuanian ones and successfully competed with those produced locally. What was the secret behind their durability? It was not just the manner of salting, marinating and spicing but first of all of smoking. The smoke used for meats had to be cold and the meat had to be hung very high – some five metres above the fire. It was smoked for a few hours in the morning and in the evening – in-between it dried without smoke. A century later, a smoky flavour still remains one of the characteristic features of Polish cuisine. It can be found in contemporary dishes served in fine-dining restaurants and hip bars: you can find not just smoked fish, meat or cheese on your plate, but also smoked vegetables, eggs, cream, and even butter and ice cream!